A great place to stretch your family excitement muscles would be at any of the several amusement parks, loaded with rides and arcades. A warm-up like that will leave you looking for more, especially for the adventurous types. Those looking to get their feet off the ground should try the zip lines and ropes course in Kittery. 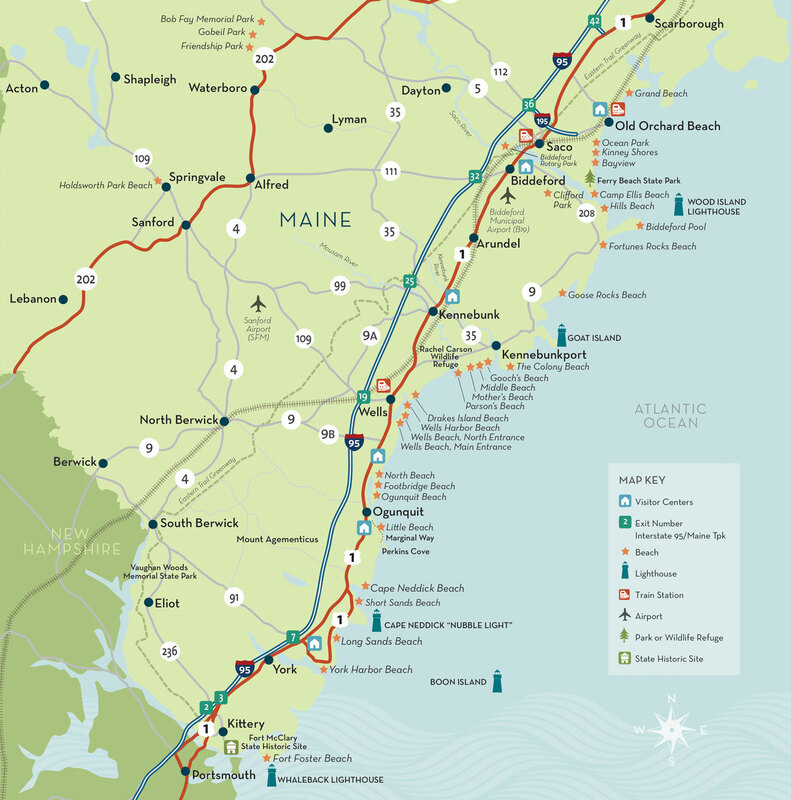 Really get your feet off the ground (like several thousand feet) to see The Maine Beaches from a birds-eye perspective on a scenic flight over the region. A little less heart-pounding, but no less exciting is a competitive round of mini-golf. Baseball is the national pastime and there are many ways to get out to the ballpark here. The Maine Beaches is home to the OOB Surge playing at The Ballpark in Old Orchard Beach, or take a ride out to historic Goodall Park in Sanford for a Sanford Mainers game. Then while you are there, take a swing at some balls of your own at a batting cage. Looking for movies? Try heading to the drive-in or a movie with an old-time cinema. IMAX and 3D features are always a favorite or get dinner and a show at Smitty’s in either Sanford or Biddeford. On the other hand, bowling is also a great way to get into the swing of things as a family, so take your chance to roll for glory. Another great way to hang together as a family before the siren’s song of the sea calls you back to the beach might be to take a road-trip (by car or bike) to a local farm for some PYO berries. Or if the season is right, a turn through a corn maze. Now that you know where to have more fun as a family, get to it!